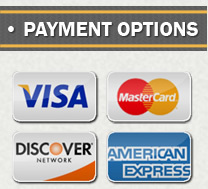 CustomChallengeCoins.com provides an easy 3-step solution to ordering custom coins. You don’t have to be a design expert, have knowledge of metal finishing, or any other technical expertise to order. That’s where we come in…and we’ve taken all the headaches and struggles out of ordering. Complete and submit our coin quote form online. Here you will provide us with basic contact information, upload a picture, logo, or any other file that you want to use in the design of your order. We provide you with a “Comments Box” as well so you can inform us of any other details not included in your file. No picture or file? No problem! Using the comments section, you can also direct us to a web address (URL) that has a picture you need to reference, or simply explain in words what you are looking for. Click “SUBMIT” and our design craftsmen then begin designing your coins. If we have any questions, we may email you for clarification. Review your design. We regularly get your design back to you within 24 hours, and more often than not, the same day. The design is sent to the email address you provided on the quote form. Check the spelling, placement of key elements, colors and size. If adjustments are needed, just reply back and we’ll get your new design back to you as soon as possible. All of this is done without you paying us a penny upfront. Place your order online, or by calling us toll free. For orders placed over the telephone, we will email you a Confirmation Message outlining all the details of your order for approval before we start minting your coins. Should you use our online form, once payment is submitted your order begins production immediately. All that is left at this point is to anticipate your custom challenge coins being delivered to your desired location. All orders, big and small, are sent UPS overnight. If you need assistance with either our Coin Quote Form or Online Ordering page, we can walk you through the process by calling us using our toll free number at the top of this page.